What: An archipelago of four owned by the Republic of Yemen. Where: In the Indian Ocean, almost equal distances from Somalia and Yemen. When: November through to February. You’ll dodge the monsoon seasons and find the tropical desert heat a little less stifling. 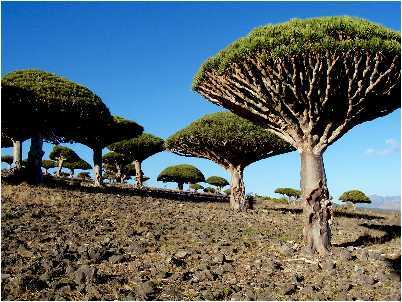 Why: It’s home of the cartoon-esque dragon’s blood tree – reason enough in itself. If you need a second reason, it’s frequently named the “most alien like place on earth”. Or in other words, as close as you’ll ever get to outer space without risking it all in a spaceship. How: The only way to reach Socotra is to ignore all travel alerts and head to Yemen. 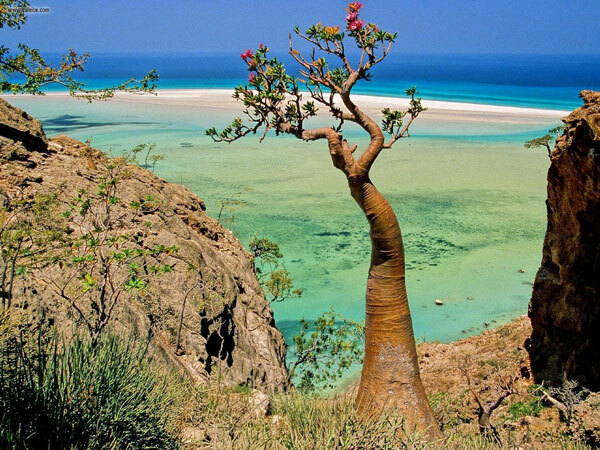 From here, you can take one of 3 flights per week that will get you to the largest of the four islands, Socotra. There’s always a catch. oh interesting!!! Looks like another item for my Bucket List!